The dominant plant forage species in our pastures are the ones we have seeded and managed for. They come in two waves: the cool-season annuals and the warm-season perennials. “Annual” meaning species that can only reproduce from the seed which they produce. The “perennial” plants stay dormant during their off-season, but the plant itself survives from year to year. 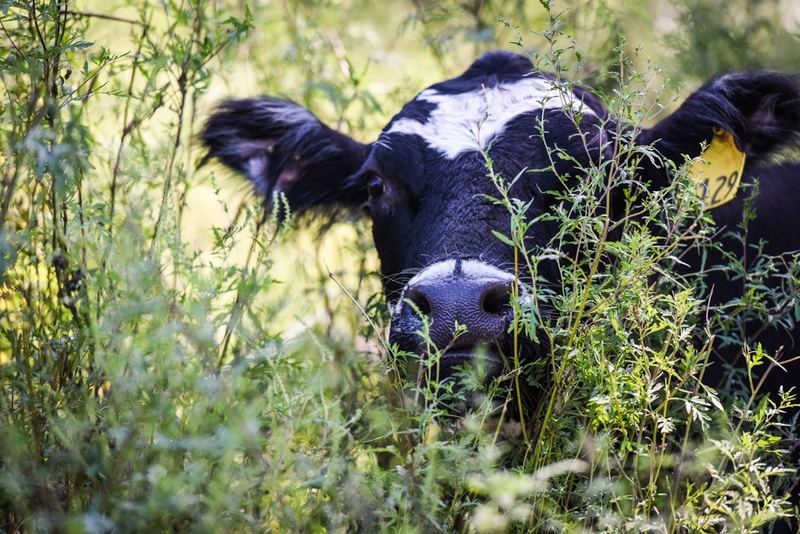 Currently, we are grazing our cool-season annuals such as rye, crimson clover, and white dutch clover. The grasses in this mix are high in sugars, and the legumes are high in protein. These properties make very good forage for livestock weight gain and meat production. 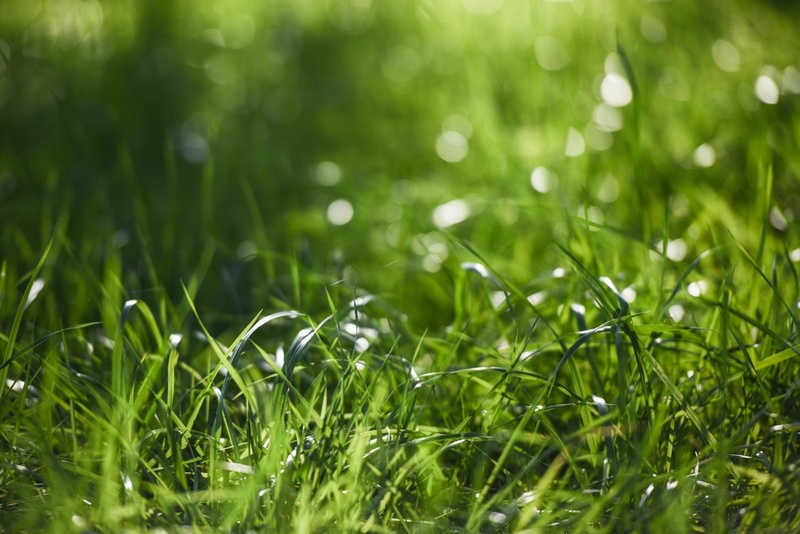 Our warm-season perennials include grass species such as Bahia and Bermuda grasses. These grasses provide weather-hearty, disease-resistant forage and their deep roots help retain and build soil. 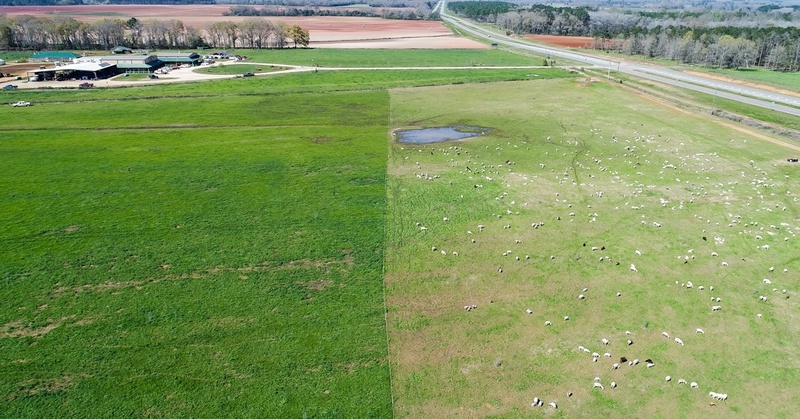 Managed grazing is a crucial balance. 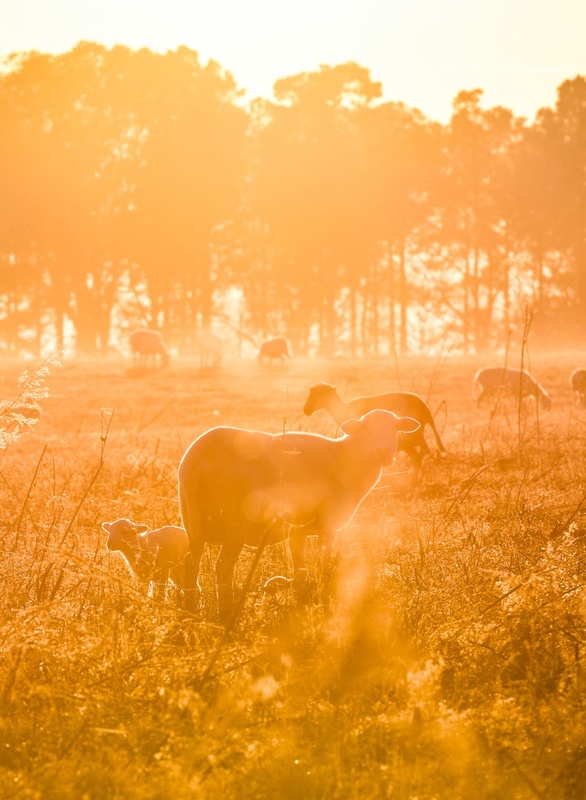 Graham says, “You could go out into the pasture [after grazing] and think, ‘There is so much grass left out here.’ While it may look like a lot of grass is left, that is what we refer to as the plants’ ‘solar panels’”. The last several inches are the tissue the plant has to reestablish itself. “If you graze that off, you’re really hurting the plant. You’re causing it to draw off of its energy reserves and its root structure to propagate itself”. Depleting the root energy reserves stunts the physical span of the roots, which is what builds and sustains soil. “A lot of these grass plants’ roots will go very deep, meters deep,” explains Graham. 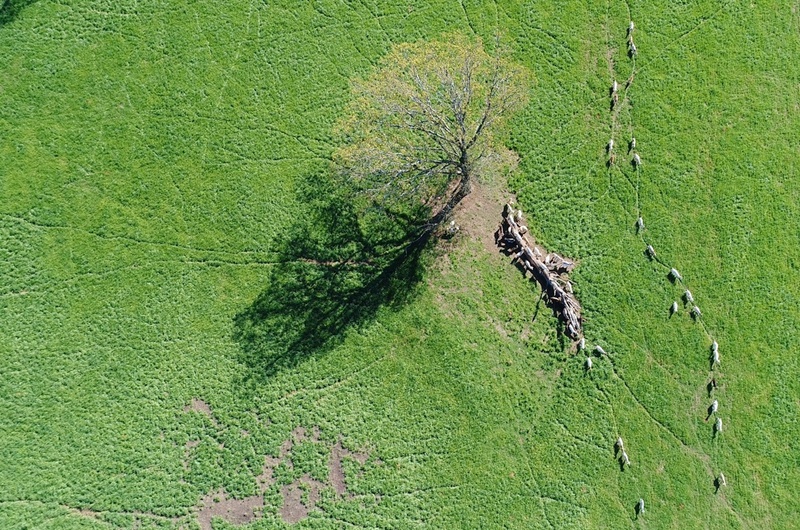 We must be careful not to deplete the roots of our pasture forages through overgrazing the shoots. We avoid this through carefully managed grazing. 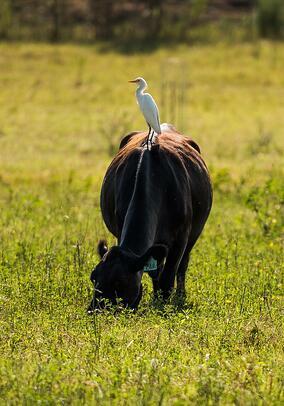 We prefer to move animals off of land when the pasture has been grazed to about four to six inches tall. As Graham says, “If I go out there, and I’m 100 feet away, and I can see the black on cattle hooves, the grass is way too low. If I can see the ankles of lambs, it’s too low”. 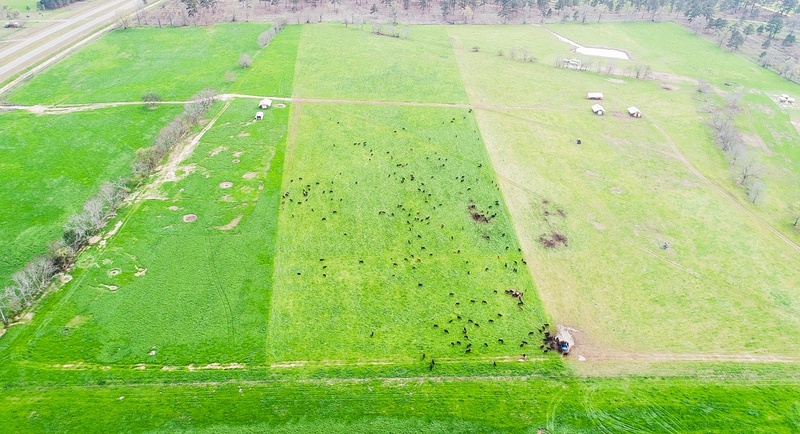 The ideal pasture height to remove animals from a piece of land depends on the management goals of the grazier, the climate, the available forage and the time of year. For example, Graham explains, “I know guys westward who would take their sheep out of the field when the grass reached the animals’ knees. 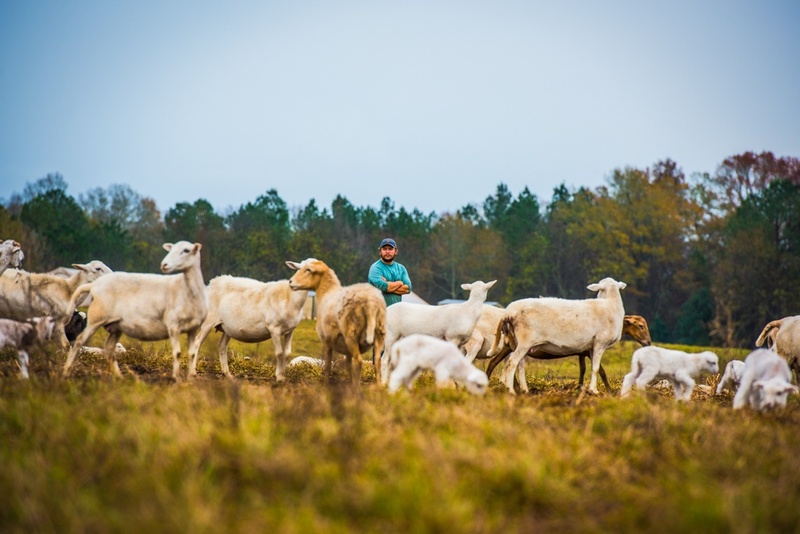 Each farm and ranch is different, and each pasture varies from season to season. 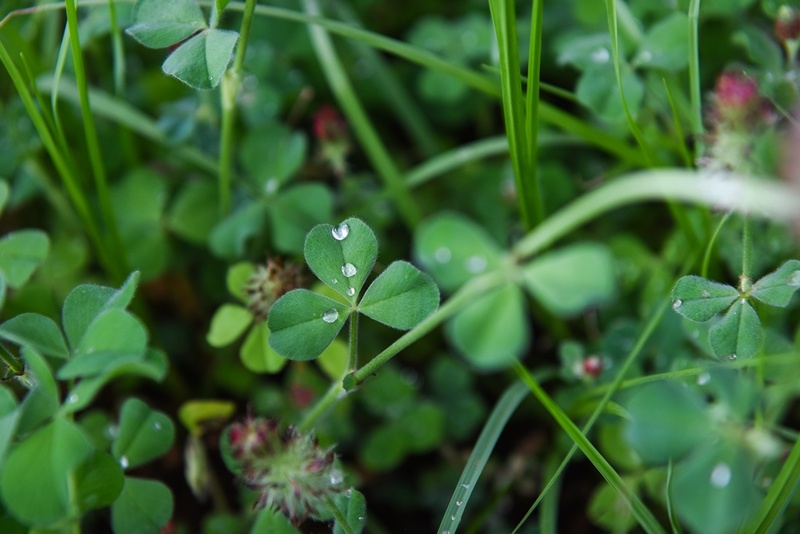 The plant reproduces and regenerates easiest when it is higher, but the most nutrient dense tissue is closer to the ground. The higher a plant grows, the less total digestive nutrients it has. "If you let the plant get too big, a higher percentage of that plant is going to be indigestible for the animal. Conversely, the plant reproduces easiest when it is at the highest level and has lots of solar panels and lots of chlorophyll". 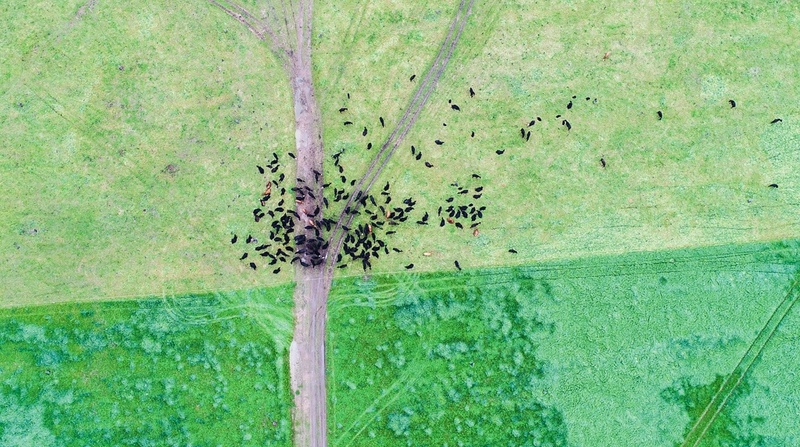 The grazier must decide the balance most beneficial to them between pasture regeneration and livestock daily weight gain.